These photos show an Audi S3 Sportback test mule doing some around-town driving. No hot laps at the Nurburgring that day. 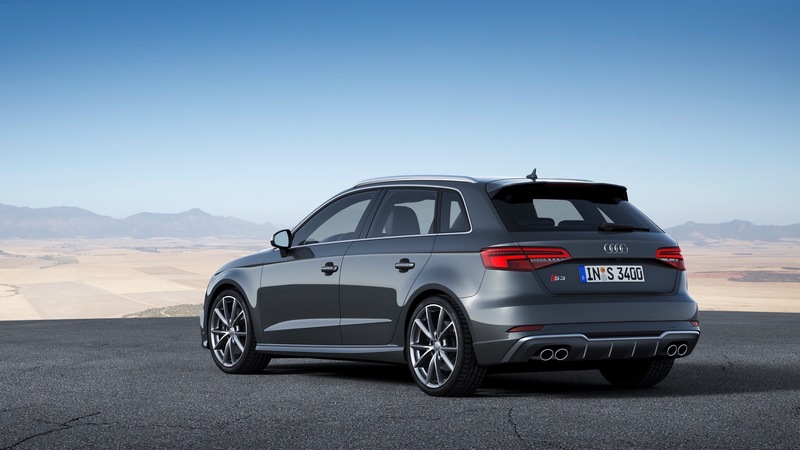 The car in question is undoubtedly an Audi S3, as its styling is similar to the car that it replaces. It’s also obvious that it is, indeed, an S3 and not a standard A3, thanks to its quad exhaust pipes, an ‘S’ model staple. Visually, it’s not all that different from the current car but there are some styling changes that do make it seem more modern. For instance, the body line in the lower portion of the door panels is new and it makes the car look more muscular. It also gets a more pronounced shoulder line, new taillights and just a whiff of the ‘Quattro Fender’ design that’s been so prominent on modern Audis. Up front, it’s very similar to all new, small Audis and you can tell that it’s going to share some of its face with the new Audi A1. Those headlights and the grille shape are similar to the A1’s and they’re both sportier and more aggressive than the current car’s. Expect this Audi S3 to a handsome and faithful replacement for the current car but don’t expect any drastic styling changes. That is the Audi way after all — evolutionary styling, not revolutionary. It should change quite a bit on the inside, though. Like the new Audi Q3 and A1, the Audi S3 is going to get the brand’s newest Touch Response MMI system and Virtual Cockpit, both of which will likely be as-standard options. It probably won’t get the touchscreen climate controls of the larger Audi models but that’s fine by us. Long live physical controls. As far as engines go, we don’t have any official info. Expect some sort of 2.0 liter turbocharged four-pot making around 300 hp, give or take a few ponies. That should be enough to keep it competitive in the segment and more than enough to be fun. Though, it would be nice to see it sniff the 350 hp mark.